NAMM 2019: In a surprise move, Zildjian isn’t just launching new cymbals and sticks this year… New for 2019 is a set of professional standard in-ears monitors from the Big Z. 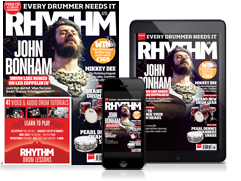 The Zildjian-branded monitors feature a Dual Dynamic Driver designed to deliver a smooth frequency response for all listening applications – from live performance and recording, to practice and music listening. For comfort and optimum noise isolation - essential for drummers - each set is supplied with medium and large premium soft silicone SpinFit ear tips. A quarter inch adapter and cleaning tool are also bundled in the supplied carrying case. 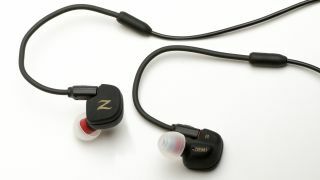 Zildjian’s in-ear monitors are certainly competitive, clocking in at just £139. The only way to know if that’s truly good value will be with a thorough test at the kit. Watch this space. The dust is settling, but our ears are still ringing. You'll find all the stories that counted in our massive news hub. Below, enjoy our findings as we regrouped at the end of the show.